Almost everywhere you look you can find a wide range of batteries from tiny, coined-shaped ones that power hearing aids to the much larger ones found in your car. Generally speaking, the larger the battery, the higher its capacity and the longer it will take to discharge. How long this will take depends on its current-time rating. 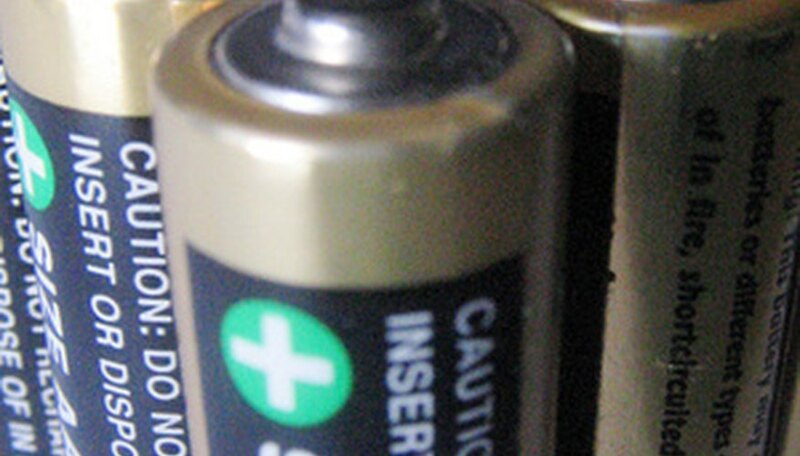 This rating is usually marked on the battery or may be found by consulting with the manufacture. The rating is in milliamp-hours or amp-hours depending on the size of the battery. The discharge time depends on both this rating and the load on the battery. Locate the milliamp-hour rating stamped on the battery and record this value. Let's use an example of 2,500 milliamp-hours (also often shown as "mA hours"). This would be a typical value for a higher quality AA battery. Locate the current rating marked on the device that you will be powering with the battery. You will need to know this value, since the battery discharge rate will depend on how much current is being drawn from the battery. This value will be expressed in amps or milliamps. For the example, we'll use 100 milliamps (also often shown as "mA"). Divide the value in Step 1 by the value in Step 2. In this example, this is 2500/100 = 25 hours. Therefore, the battery will power the device, or discharge, for 25 hours. You will notice that both the rating of the battery and the rating of the device in the example were prefixed with "milli" which indicates 1/1000th. If both excluded this prefix, you could still follow the same prescription described above to perform the calculations. However, if one includes the "milli" prefix and the other does not, then you should multiply the one that does not include the prefix by 1,000 to make the calculations work out correctly. 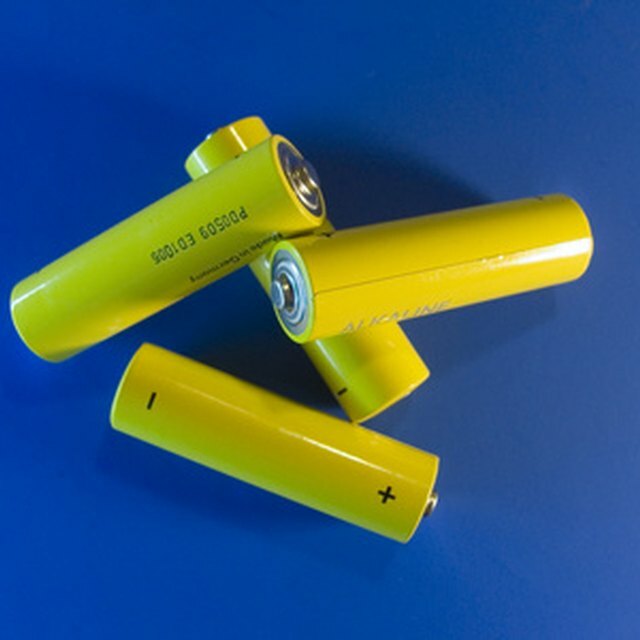 Most devices that use multiple batteries connect them in series to provide a higher voltage. Since the discharge rate depends only on the current drain, this has no effect on the calculations, and it is incorrect to simply add ratings from Step 1 of all the batteries together. In fact, you should use the battery with the lowest rating. On the other hand, you may find some devices that wire the batteries in parallel. In this case it would be appropriate to add the ratings of all the batteries together to provide the result used in Step 1. If you are not certain of whether your device has its batteries in parallel or series, you can find an excellent tutorial on that topic at Battery University (see Resources). Townsend, George. "How to Calculate Battery Discharge Rate." Sciencing, https://sciencing.com/calculate-battery-discharge-rate-6865220.html. 24 April 2017.